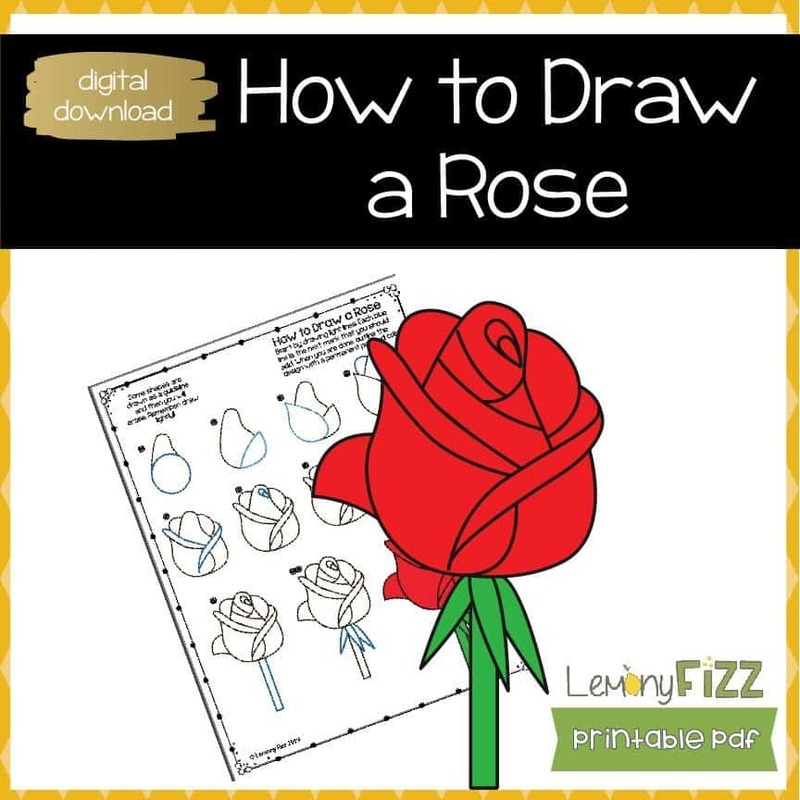 Are you looking for a quick way to make a greeting card? 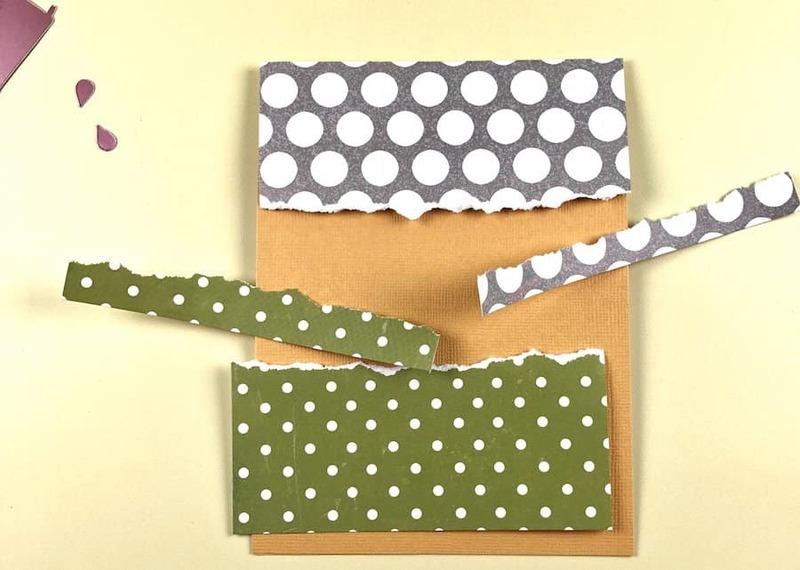 Friends and loved ones are always happy to get handmade cards. 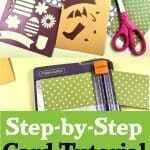 This tutorial for a spring greeting card will be another great design to add to your collection. 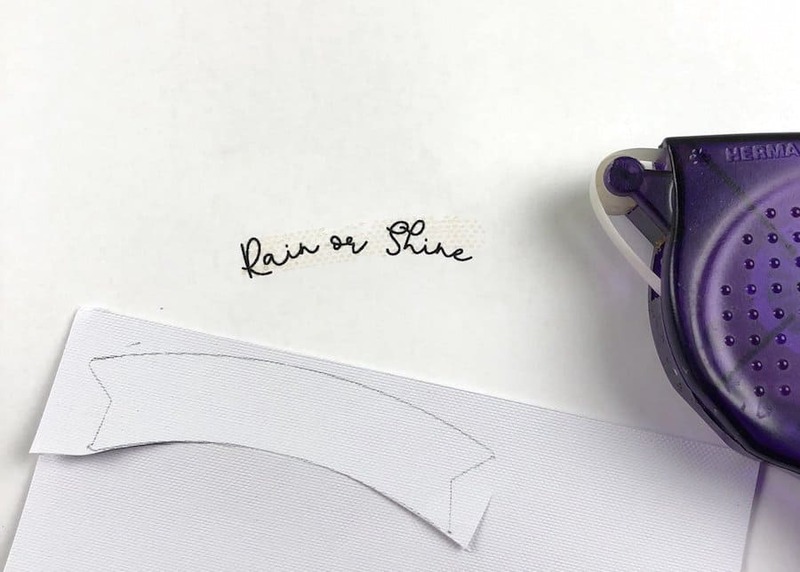 For this quick and easy card, I used the extra pieces from this bullet journal stencil that I created. There was a pile of these spring themed pieces floating around on my craft bench. I figured, why not make a card! I had a piece of cardstock that was ready to be used as a card (it was 12 x 4.5 inches) and I folded it to have the seam be on the top. It opens like a tent from top to bottom instead of from side to side. 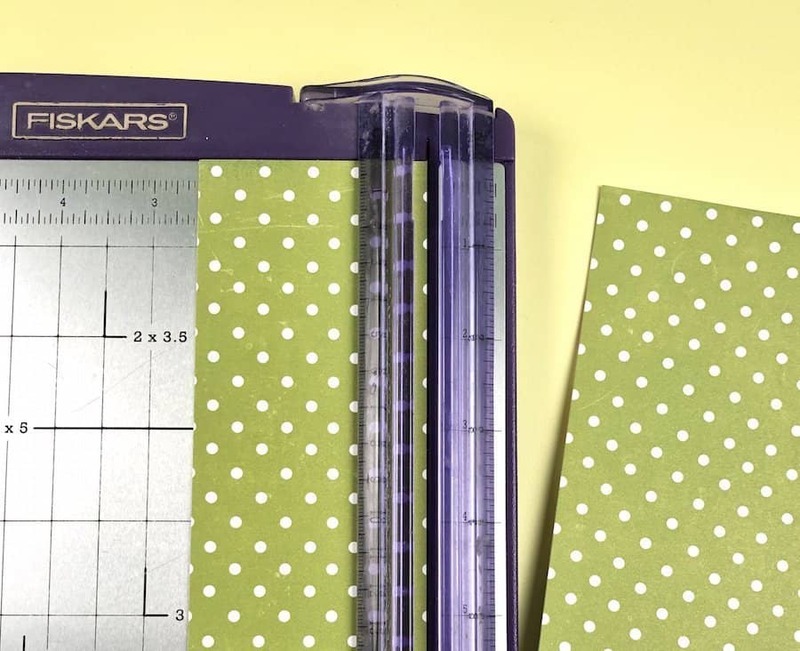 Trim your two pattern pieces to be about 2.25 inches by 4.5 inches (the width of your card base). 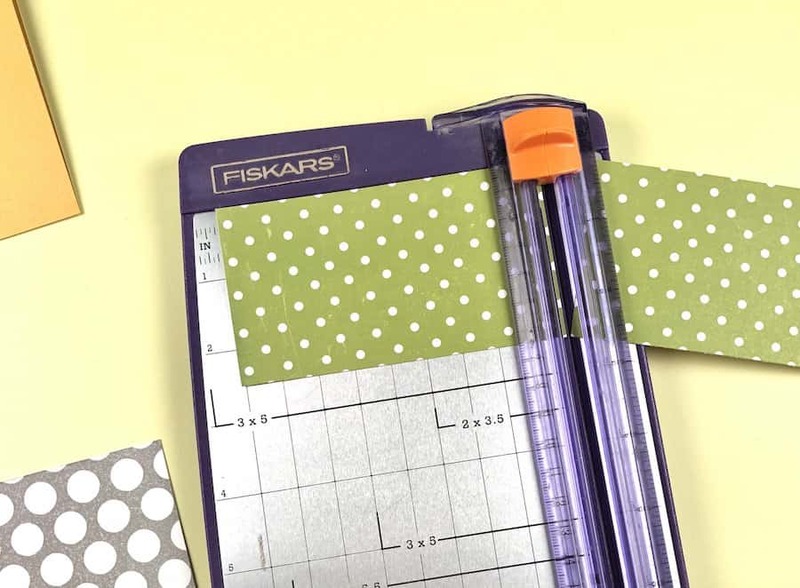 If your pattern paper is too long for your card or you are taking it off a full sheet of scrapbook paper, cut it first at 2.25 inches (to get the most out of your paper) and then trim that small strip down to 4.5. 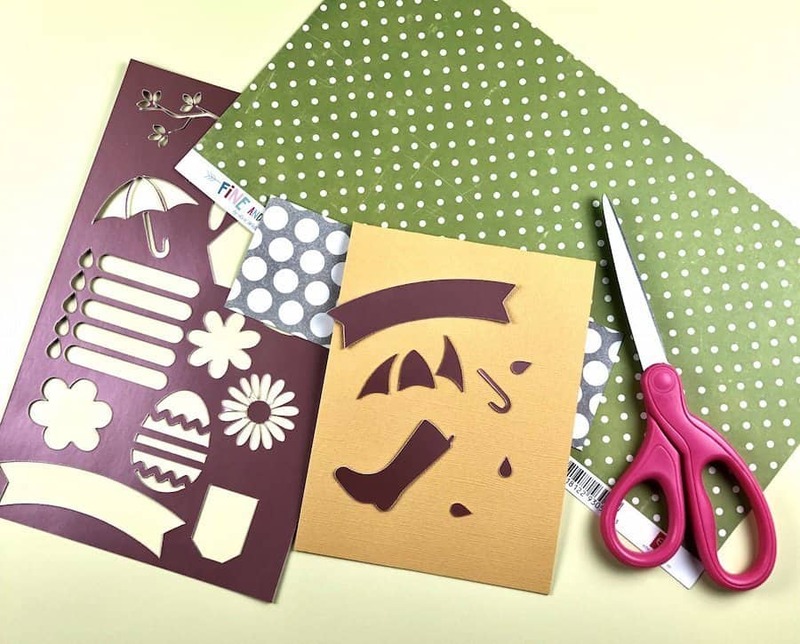 You should have two pattern pieces ready to place on the card. One at the top and one on the bottom. Hold the paper in your dominant hand. 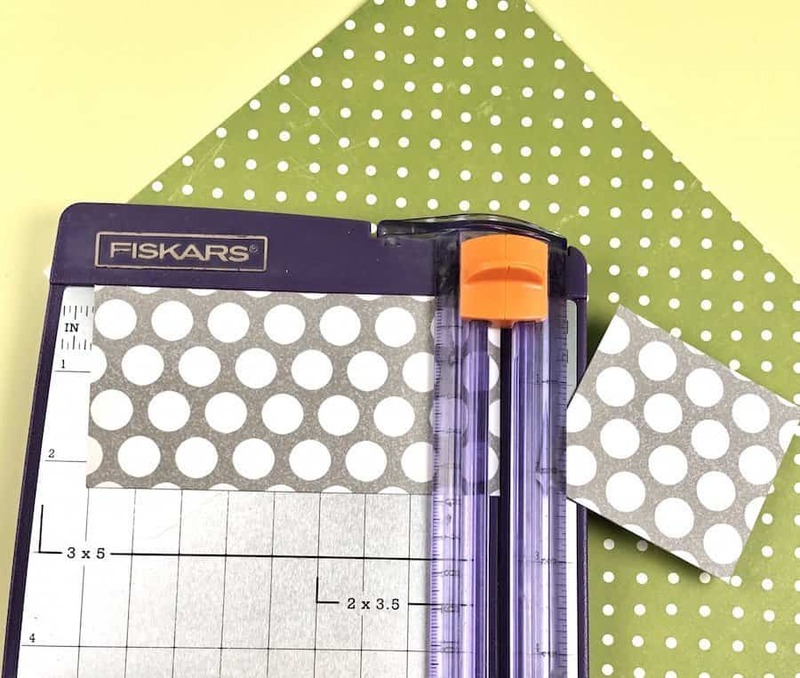 Pull to tear an edge of the pattern paper about a quarter of an inch in. You can ink this edge if you like a more shabby chic look. 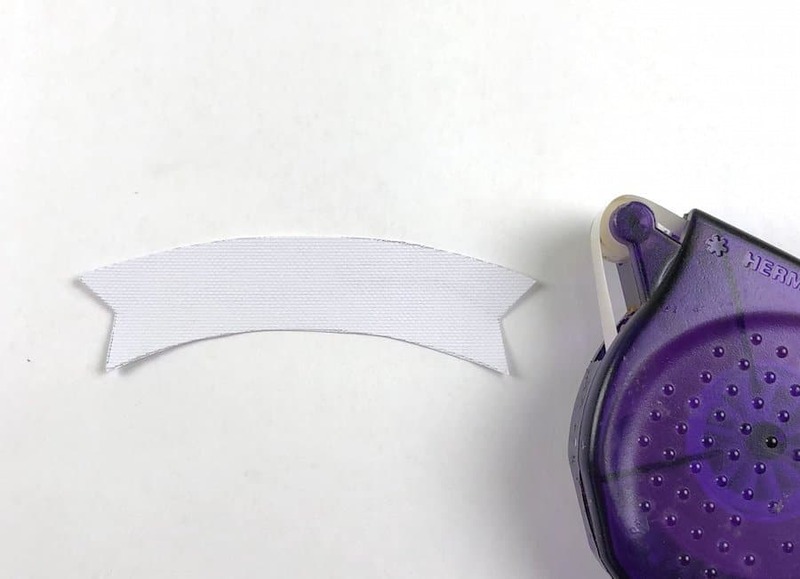 Tear the edge on both pieces of pattern paper. 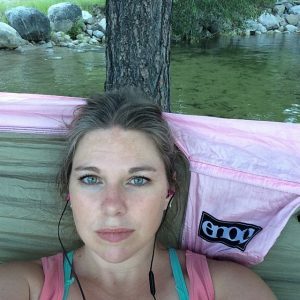 The phrase is up to you and your supplies. 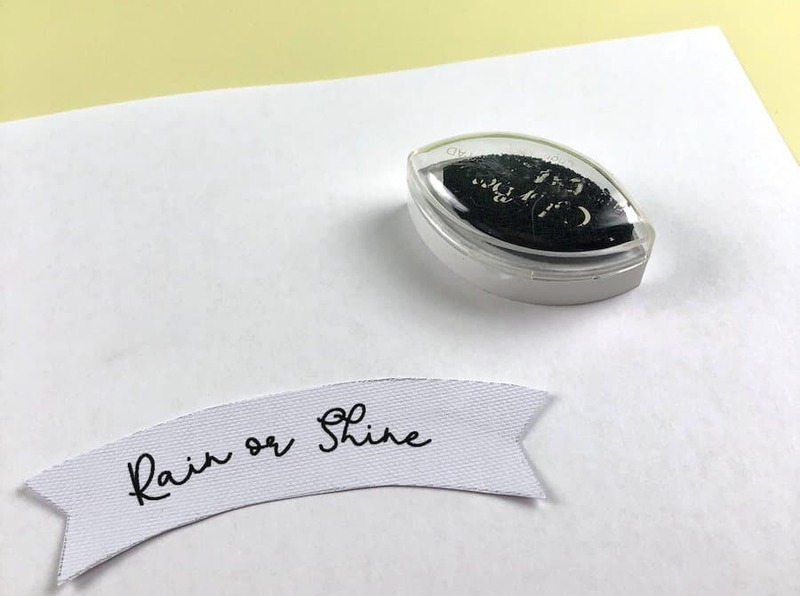 I chose to put “rain or shine” on my banner. I typed up the phrase and then printed it out on a piece of regular printer paper. 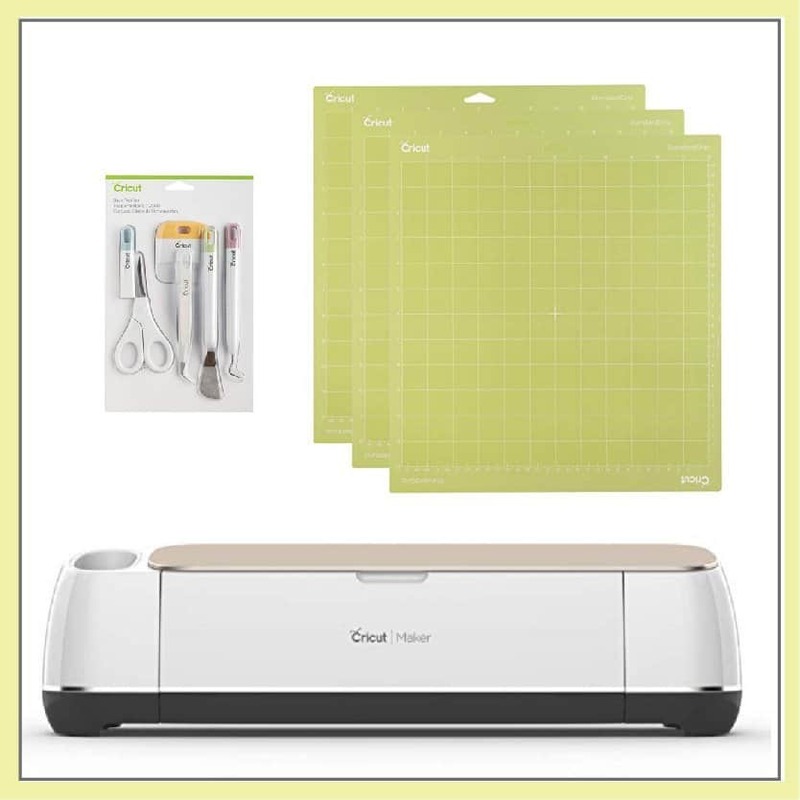 Next, run a strip of removable adhesive across the phrase and attach your banner. Once you have your phrase printed the first time and you have applied your banner, run it through your printer again. If you aren’t sure how your printer pulls the paper through the printer, experiment with that first. 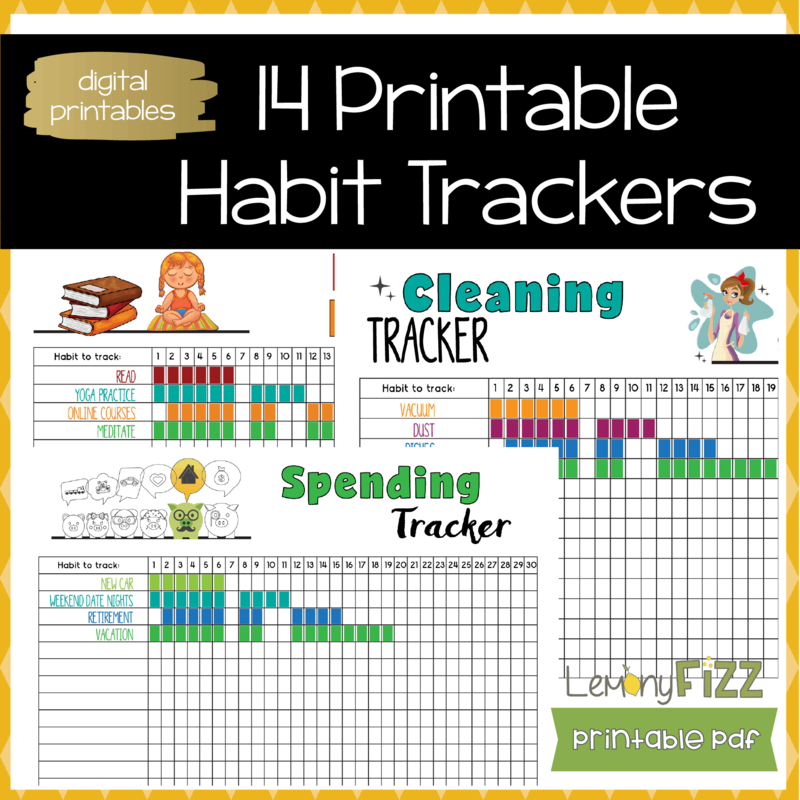 Figure out which way you need to put the paper in to have it print in the exact same place the 2nd time. Ink the edges of your banner with your cat-eye chalk. Ink the edges of any other part of your card that you want inked at this point before we start adding the additional pieces. 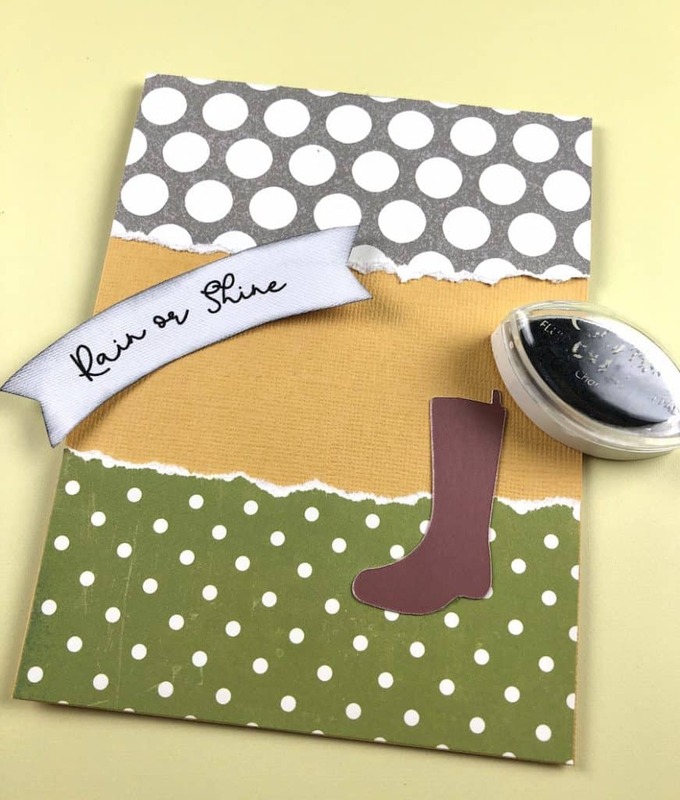 Start gluing on the other elements to your card. 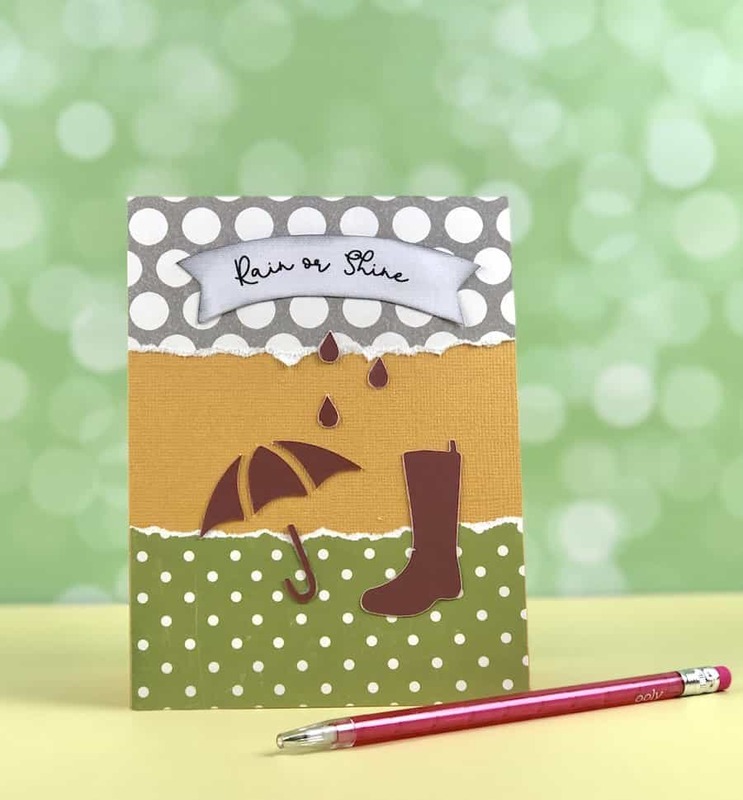 I chose the rain boot, raindrops, and the umbrella from this SVG file for the Cricut or Silhouette. Once you have all the pieces glued on, you are ready to write a sentiment on the inside or in my case, I give all my blank cards to my mother-in-law. She loves giving cards for any occasion as well as special occasions. I usually create a pile of them and then take them to her to replenish her card stash. Want to remember this? 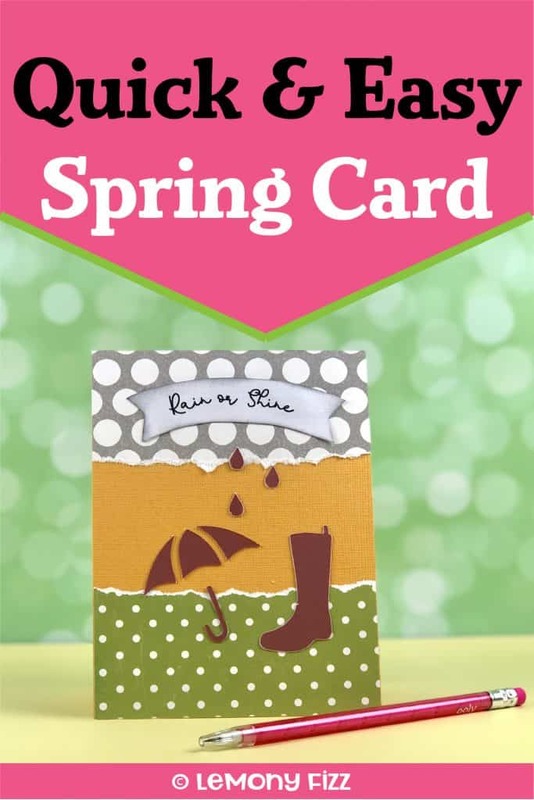 Post this Make a Greeting Card pin to your favorite Pinterest board!